Where in the World is RPA? Department of Recreation and Park Adm.
CHS Dean's Award Winner Kenna Smith! 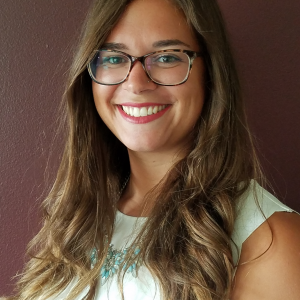 The College of Health Sciences selected Kenna Smith to recieve the 2019 Dean's Award at the University Scholars Assembly. The College of Health Sciences Dean's Award is given to students who demonstrate academic excellence by having a high grade point average and demonstrate leadership qualities and service to the Health Sciences' professions. Kentucky Recreation and Park Society Award Winners! On November 7-9, 2018, the Kentucky Recreation and Park Society (KRPS) had their 65th Anniversary Conference held at Lake Barkely State Resort Park. EKU’s Department of Recreation and Park Administration (RPA) had two very special award winners. 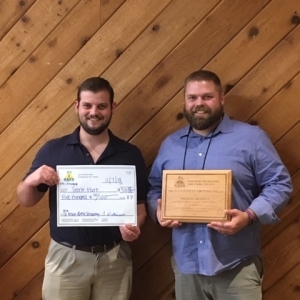 Dr. Michael Bradley was honored with the KRPS Professional of the Year Award and Graduate student Trent Hurt received the Dr.
RPA Student honored with Rho Phi Lambda Outstanding Undergraduate Student Award! 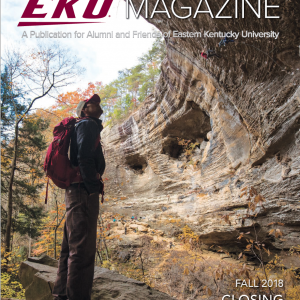 Callie McMullin, a current Graduate Student with EKU Recreation & Park Administration was honored as the 2018 Rho Phi Lambda (National Honors Society for Parks and Recreation) Outstanding Undergraduate Student! 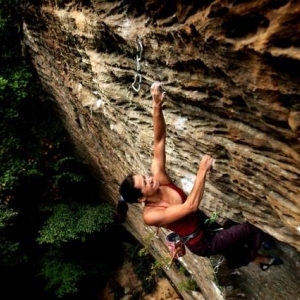 Dr. Brian Clark (RPA) and Dr. James Maples (Sociology) have brought national attention to the Red River Gorge and the world class rock climbing that can be found on the eastern Kentucky cliff faces. Their study has been published in the 2017 Journal of Applachian Studies and has been in numerous trade publications and newspapers. RPA Majors Compete in the BattleFrog College Championship on ESPN!! Check out some of our very own RPA students competing on ESPN over the next couple of Days! 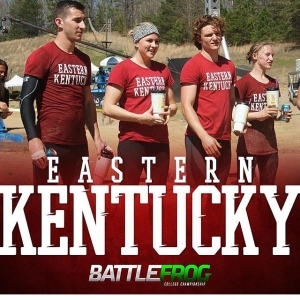 A team of four Eastern Kentucky University students will put EKU in the national spotlight June 30-July 2 when they compete in the 2016 Battlefrog College Obstacle Racing Championship on ESPN. 6th Annual RPA Chilifest Results are in! 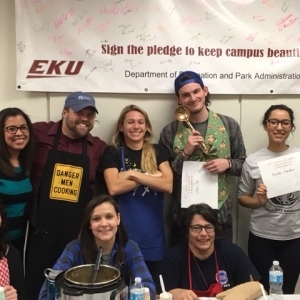 The Results are in and the 2016 RPA Chilifest Winner is Mr. Logan Parr, followed by Ms. Belinda Gonzalez and Dr. Bradley! Thanks to all that came out and enjoyed some great Chili! 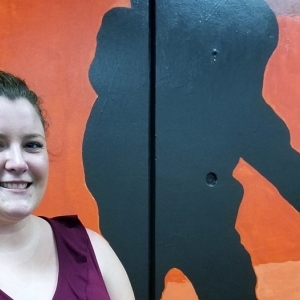 RPA Graduate Student honored with Rho Phi Lambda Outstanding Graduate Student Award! 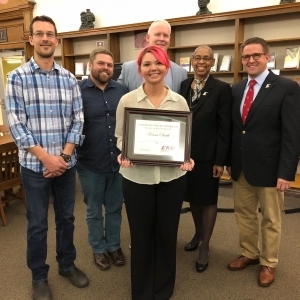 Ashley Twehues, a Graduate Student with EKU Recreation & Park Administration was honored as the 2017 Rho Phi Lambda (National Honors Society for Parks and Recreation) Outstanding Graduate Student! 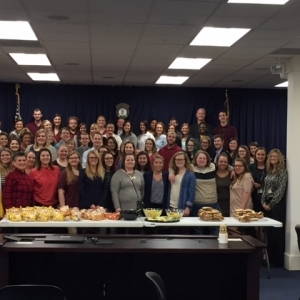 The Department of Recreation & Park Administration (RPA) representing EKU with over 60 students, faculty and alumni at the 2017 Kentucky Recreation & Park Society (KRPS) Legislative Luncheon in Frankfort, KY.
RPA awarded Outstanding Department from the Kentucky Recreation and Park Society! 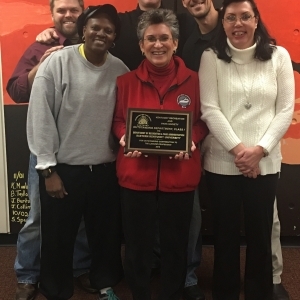 The Department of Recreation & Park Administration (RPA) receives the Outstanding Department Award at the 2016 Kentucky Recreation and Park Society (KRPS) Annual Conference! The award recognizes a recreation department or agency (federal, state, local, university, private, or church) who has demonstrated outstanding contributions in leisure services.